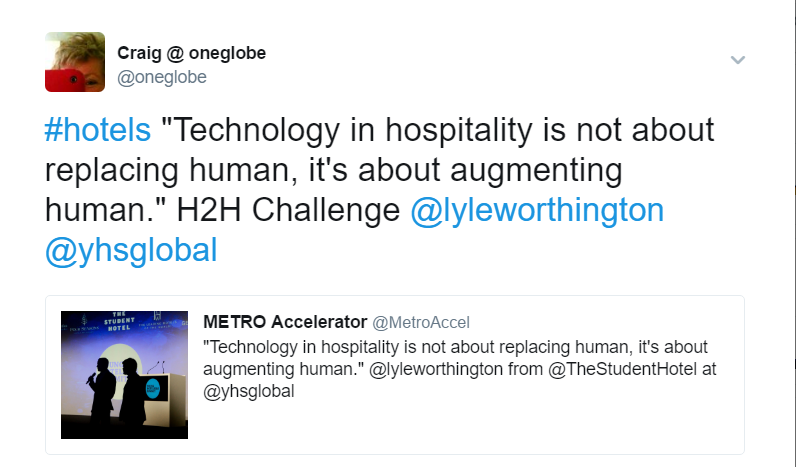 A shareworthy quote from @lyleworthington speaking at recent Young Hoteliers Summit. 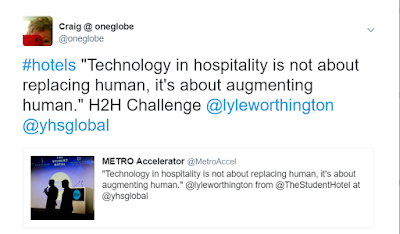 As #hotel guests increasing use digital tools of THEIR choice, hospitality pros need to think differently to retain that H2H - human to human contact - that's why we are in this business. Young Hoteliers Summit is held annually at Ecole Hoteliere in Lausanne Switzerland. Lyle Worthington is a Metro Techstars mentor, CIO of The Student Hotel - innovative accommodation, co-working, social space concept.